Get Along with Anyone, Anytime, Anywhere! Are you one of those people who gets along with everyone or are you one of those people who finds getting along with people very difficult? Either way, this weeks radio show will help you out, listen in as I speak with Arnold Sanow, MBA, CSP (Certified Speaking Professional). 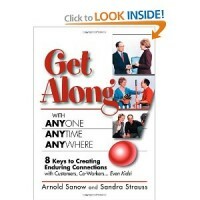 He … Continue reading Get Along with Anyone, Anytime, Anywhere! What a fun (and musical) interview with recording artist KeithMAcPherson today – this guys just oozes positive energy and love. Enjoy the podcast of the commercial free show here: Your Life, Unlimited with Stephanie Staples and Keith MacPherson And, his guest blog post… Who Am I Really? Pierre Teilhard de Chardin … Continue reading Who am I Really? Gimme a Break – The Art of Making Time Work for You! 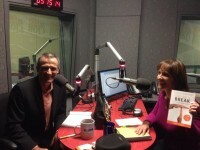 I was excited to host Hugh Culver author of Gimme a Break – The Art of Making Time Work for You! on this week’s radio show. You will find some useful productivity tips, a big challenge and why I am telling you about a woman who took her shirt off … Continue reading Gimme a Break – The Art of Making Time Work for You!